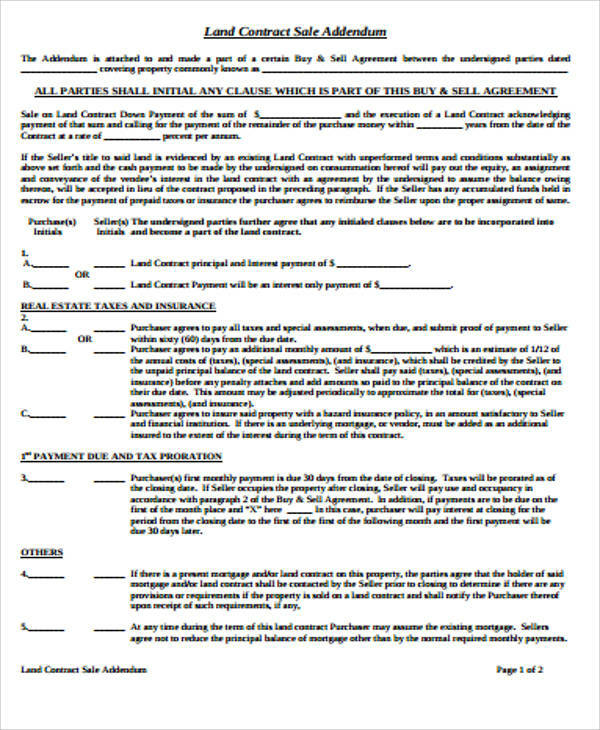 Land contract agreements are definitive types of real estate contract documents that details the sale between the seller and the buyer for a piece of land or property that is normally paid in installment. 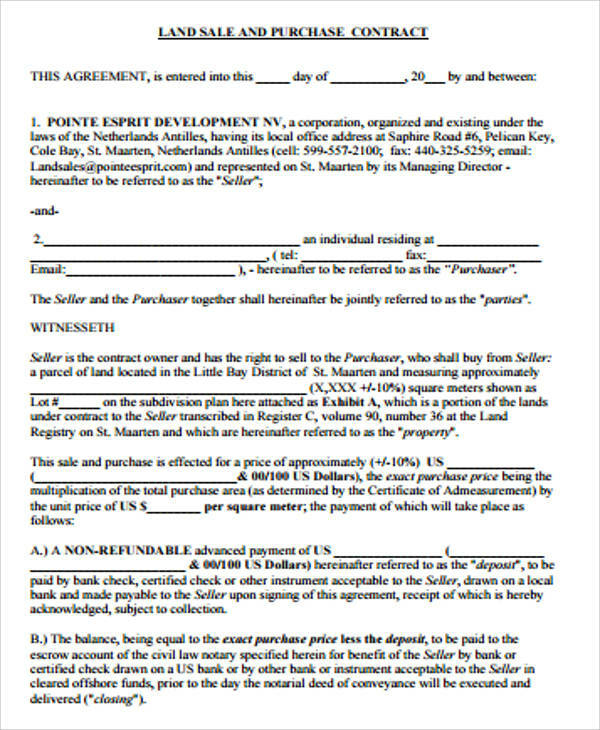 Under this agreement, the seller retains ownership of the piece of real estate until the buyer can make full payment of the property. 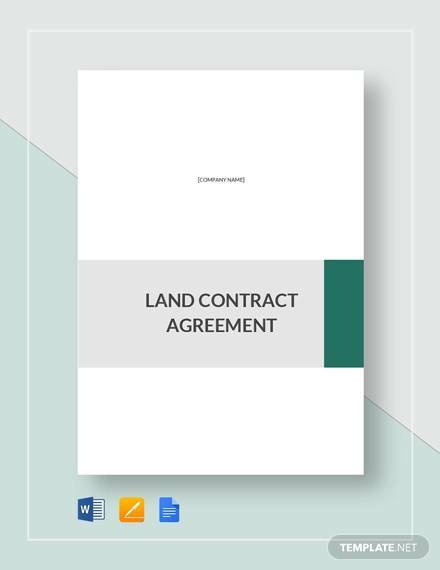 Land contracts come in different kinds such as found in our Sample Agreements. These are available for different kinds of agreement, from vacant land to commercial land contracts. 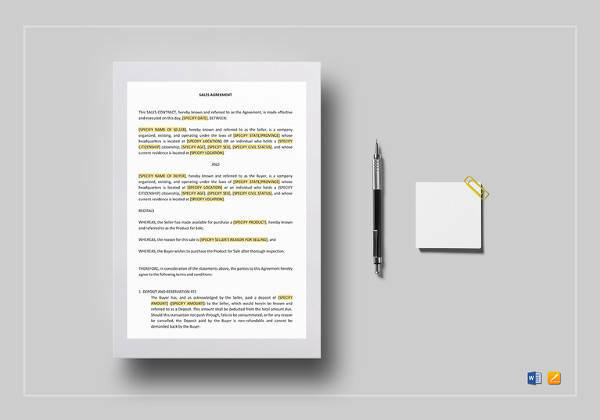 Each one can be edited for user’s own draft according to the special agreement entered into and are available for print and download in both Microsoft Word Doc and PDF. Land contracts shouldn’t have to be complicated but should detail the terms and conditions for the interests of both the buyer and seller. 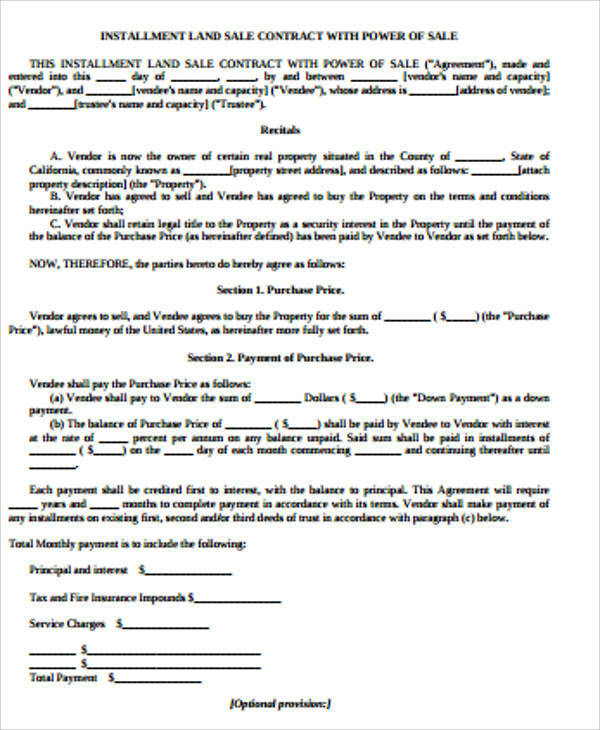 When all contract terms including payment are being satisfied, the seller is required to hand over ownership of the property to the buyer through issuance of a deed to transfer of ownership title. The name of the seller and the buyer. Since it’s possible that there may be more than one seller and buyer, the draft should include spaces for the names of the other parties. 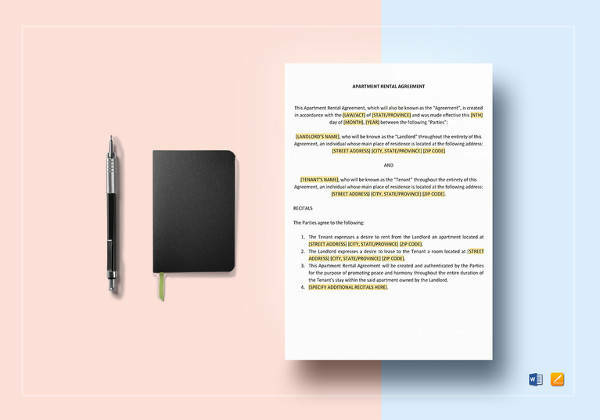 For clients and contractors working on a project that need to draft an agreement before starting work, our website also offers Construction Contractor Agreements. Please click on the link that will guide you through different kinds of contract agreements for construction purposes. 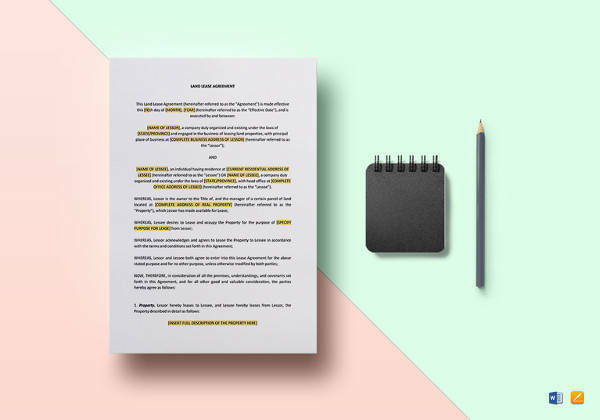 These are all free to download and modify or edit before printing, which may act as guides to making your own contract by your own specifications. For land sale contracts, such an agreement can be used for residential properties that have already been finished and ready for occupancy. It may also be used for unfinished work done on the property, provided that construction will be finished before the contract date is due and also for previously owned residential properties that are put up for sale. 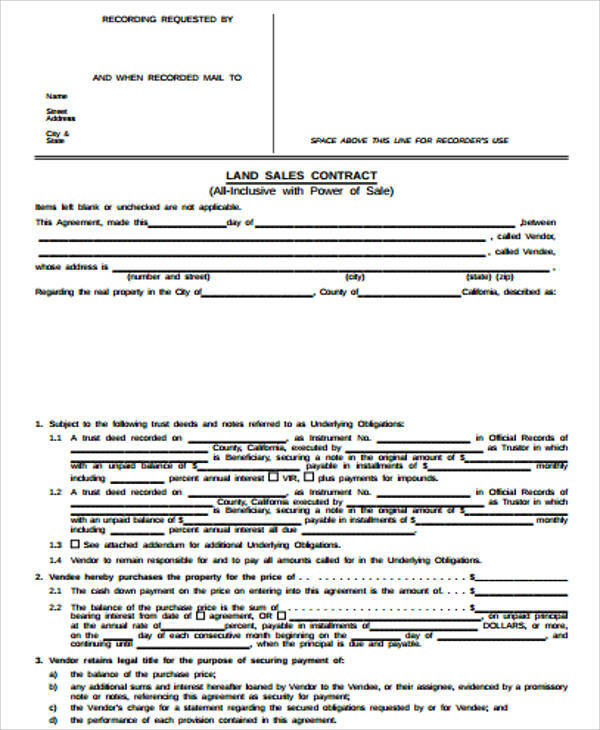 A land sale contract can be made through either mutual assent for unilateral or bilateral purchase agreement. While bilateral agreements are common, a unilateral agreement can also be made where a provision is included, which gives the buyer the option not to be obligated to buy the property. On financing terms, as is common with most large purchases, real estate properties have a third-party financing option that can be included in the contract that specifies the loan the buyer needs to help purchase the property. 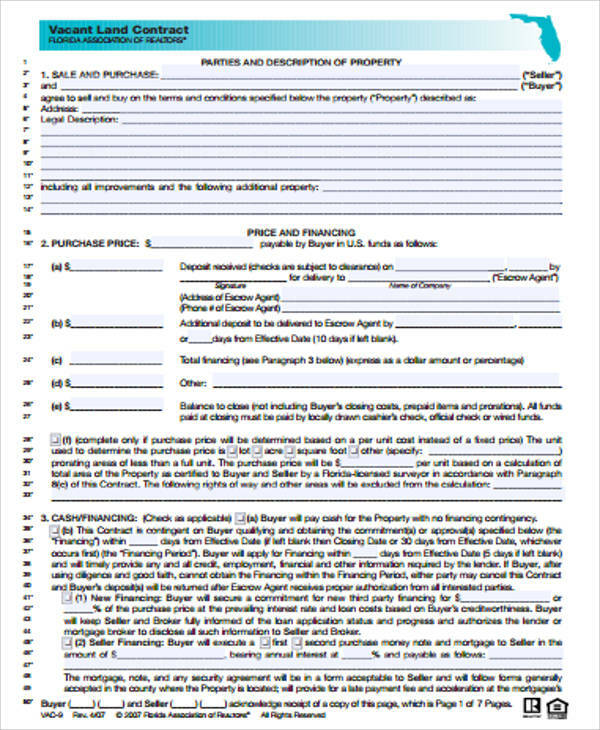 Most of our sample forms provide the basic guides that the buyer and seller can refer to. However, keep in mind that our standardized contract should be thoroughly understood most importantly by the buyer. 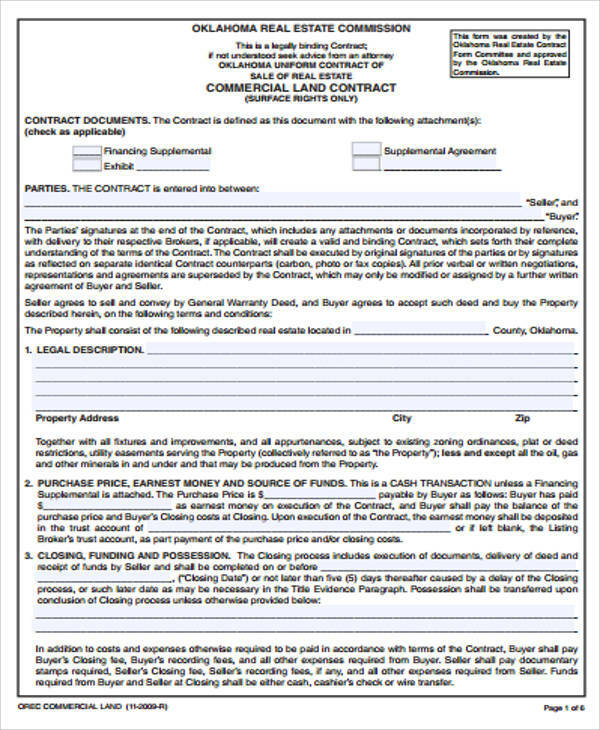 The contract will only be binding once the buyer accepts and signs the contract. For clients who need their contractors not to divulge any information while the project is ongoing, we also offer Contractor Confidentiality Agreements in our website. Just click on the link which will direct you through a couple of our examples.